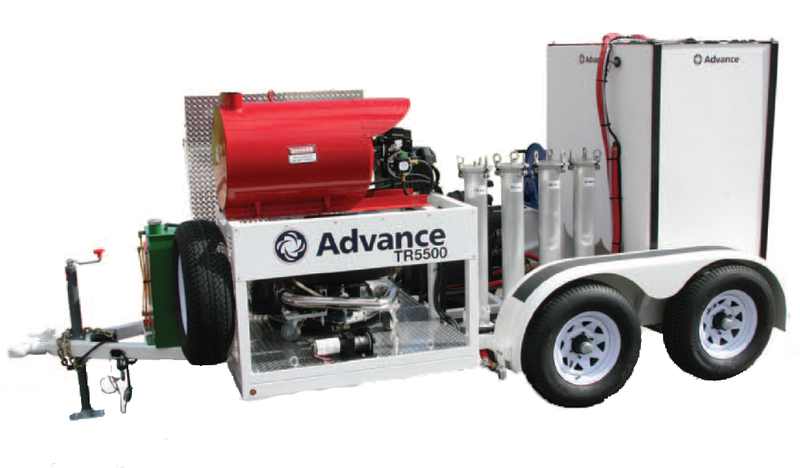 With the help of the revolutionary Cyclone™ surface-cleaning technology, the CY5500 delivers unmatched deep cleaning of concrete and other hard surfaces by scouring away dirt, tire marks, petroleum deposits, with no discharge into the environment or damage to the cleaned surface. Virtually all water is reclaimed and contaminants are filtered out, allowing for the re-use of the reclaimed water for extended cleaning cycles. This remarkable self-contained system delivers the most environmentally-friendly outdoor surface cleaning solution by minimizing water usage, eliminating chemical use and water runoff and aiding in EPA compliance. 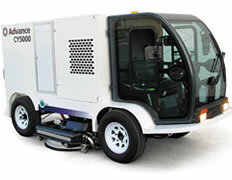 When coupled with the CY210™ walk behind cleaning head, the TR5500™ trailer pressure washer with water recovery and recycling system deliver a fully integrated surface cleaning system like no other, reclaiming waste water and filtering out contaminants, allowing for the use of reclaimed water, thereby reducing water use, and leaving no standing water, aiding in EPA water runoff compliance.